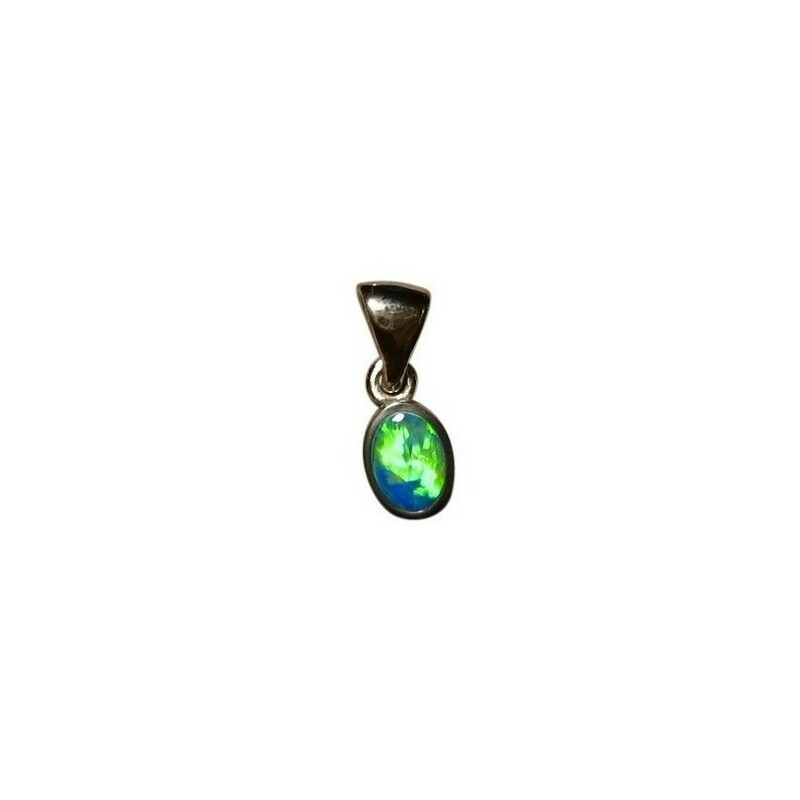 A 14k White Gold Opal pendant with a vibrant Green Opal. In stock and ready to ship. 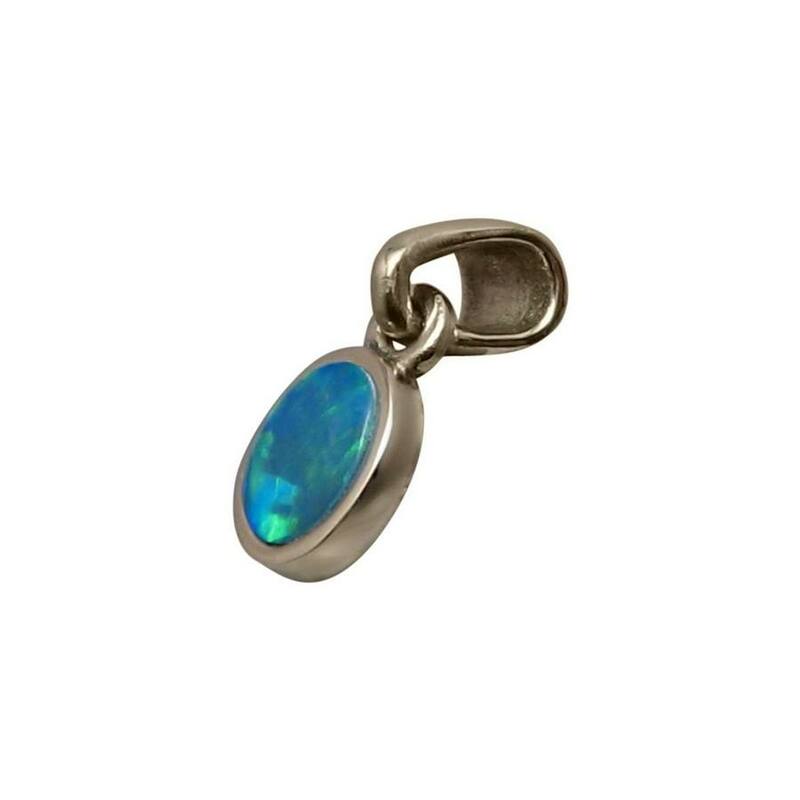 This is a small Opal pendant in 14k White Gold inlaid with an oval Lightning Ridge Opal. 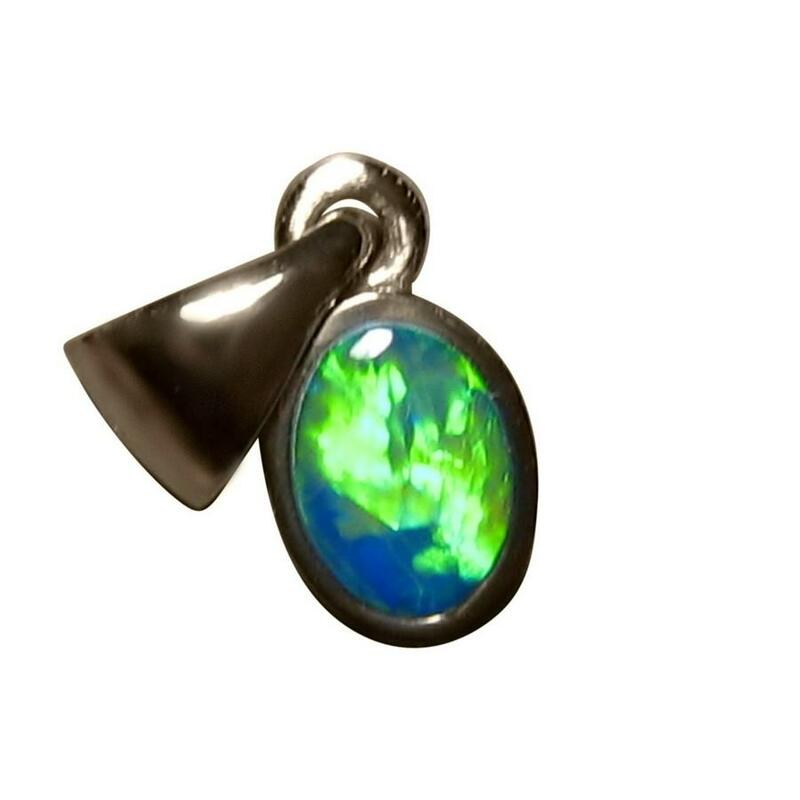 The neon Green rolls across the Opal and the video below will show the pendant in movement. 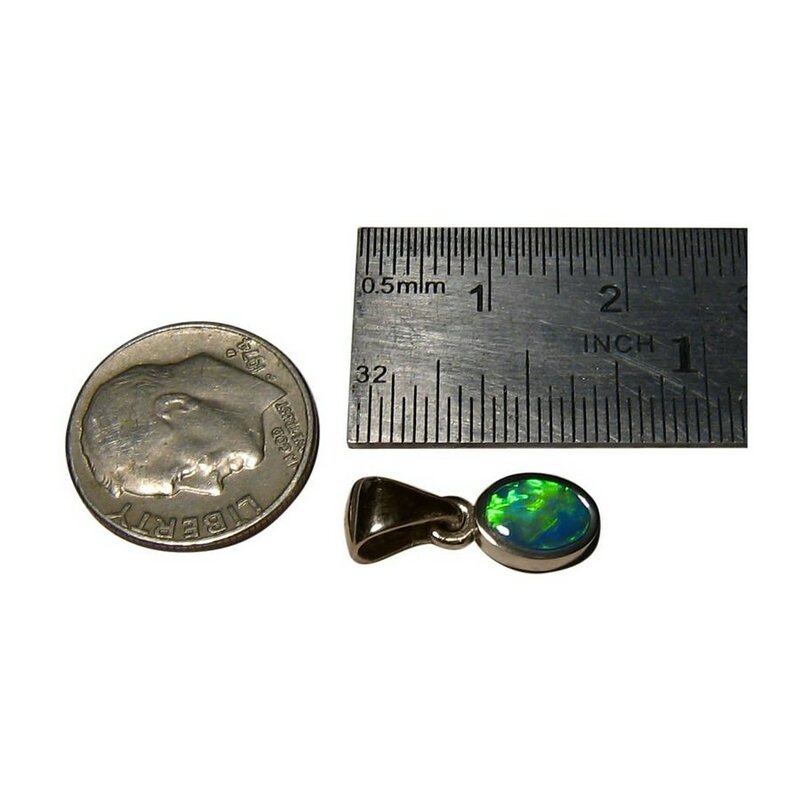 The images do not show the smooth and high shine of White Gold and the article on Photography explains the process of taking images and assures you of a quality piece of jewelry. 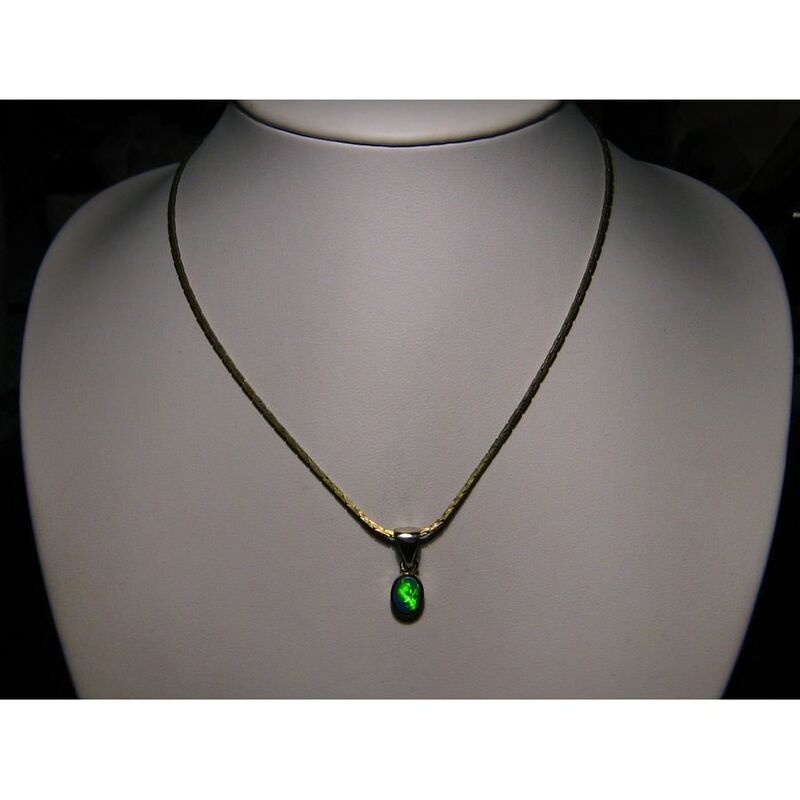 The pendant measures .66 of an inch including the bale and although small, the bright flash of color will be noticed.